TmMhe biggest international event in women's soccer is happening in Canada this month, but the turnout for many of the matches has been a bit, shall we say, underwhelming. Social media has been abuzz with pictures of empty seats at many of the matchups, and fans are questioning why the stands are so bare. It's more than a little sad to see such a paltry turnout for women's soccer. Weirdly, FIFA announced high ticket sales for many of the games, but photos of empty stadiums at the Women's World Cup tell a different story. A columnist for The Sydney Morning Herald pointed out that FIFA is counting total attendance at doubleheaders, not counting each match individually, which creates the impression that the matches are more heavily attended overall. Other soccer writers have called the turn-out "wretched," and The Washington Post said the schedule was likely contributing to the lack of enthusiasm for the early matches. Two doubleheaders were played on a Sunday and two on Monday, with some games scheduled in the middle of the afternoon on weekdays. The smaller size and remote locations of some of the venues also likely factored in the low attendance, the Post reported, which tallied the average size of matches not involving the host country Canada or the neighboring U.S. at around 17,600. But the photos of empty stands don't lie, and there were quite a few of them making the rounds on Instagram, Facebook, and Twitter. The most discouraging part of the low turnout is that the U.S. team is among the teams favored to win the tournament. 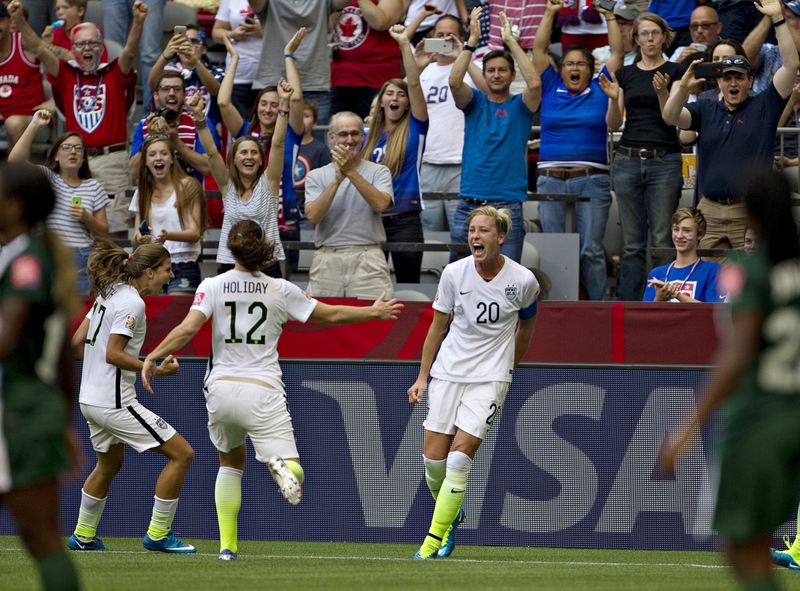 But viewership at home pales in comparison to the Men's World Cup of 2014, according to MarketWatch. The audience for the U.S. women's peak group stage was under a third of the 19 million viewers who watched the U.S. men's team in the opening round against Ghana. In 2014, according to FIFA, the average in-person attendance at a Men's World Cup match was just under 50,000 people. Women's soccer has seen its share of indignity already this tournament, even before the games began. Soon-to-be ex-FIFA chairman Sepp Blatter famously said in order to drum up more interest, the female players should wear tighter shorts. And the athletes are extremely unhappy the games are being played on artificial turf, which is hard to play on and leads to leg injuries. So the low turnout just adds insult to injury. As the games become more high-stakes — the U.S. quarterfinal matchup against China is set for Friday night in Ottawa — it's likely attendance will improve. But it's hard to figure out if even the most exciting matches might draw them back before the tournament winds down.